Melbourne, Australia from Eureka Skydeck 88 – Photo By Simon Kirwan. 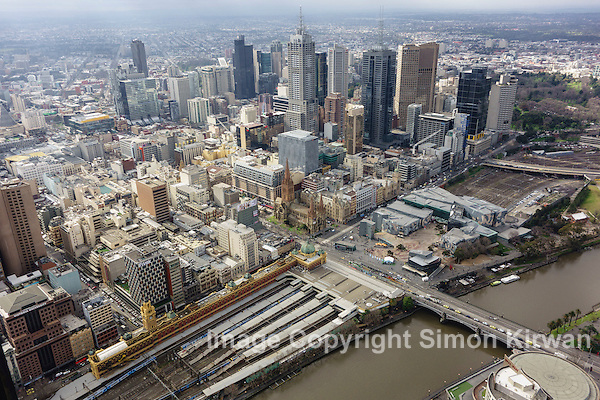 View of Melbourne, Australia, showing Flinders Street Railway Station, St Paul’s Cathedral & Federation Square, from the Eureka Skydeck 88, the highest public vantage point in a building in the Southern Hemisphere at 285 m (935 ft). This entry was posted on Friday, November 27th, 2015 at 4:41 pm. It is filed under News, Travel Photography and tagged with Australia, Eureka Skydeck, Federation Square, Flinders Street, Melbourne. You can follow any responses to this entry through the RSS 2.0 feed.